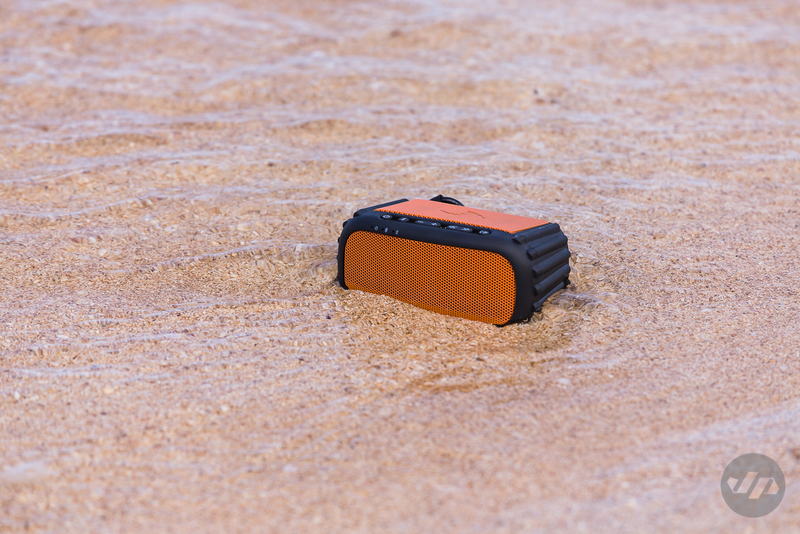 For my trip to Hawaii I was able to test out the new ExoRox bluetooth waterproof speaker by Ecoxgear. 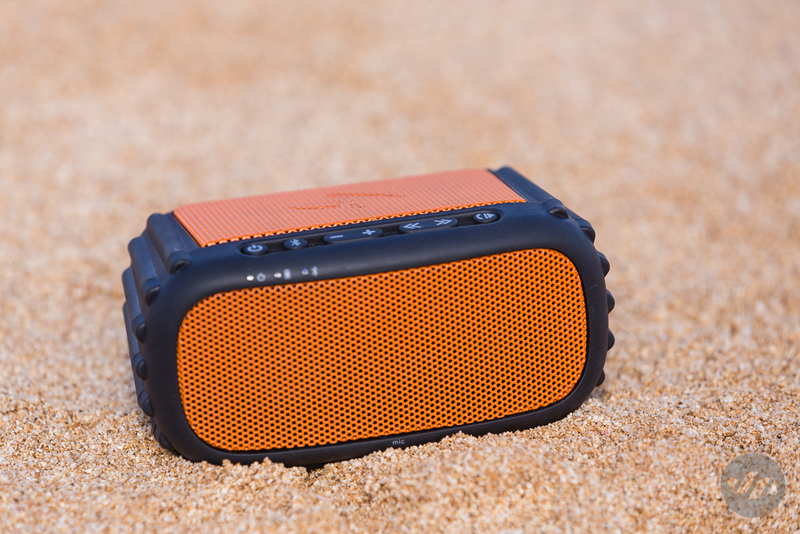 The portable speaker is small but packs a punch. 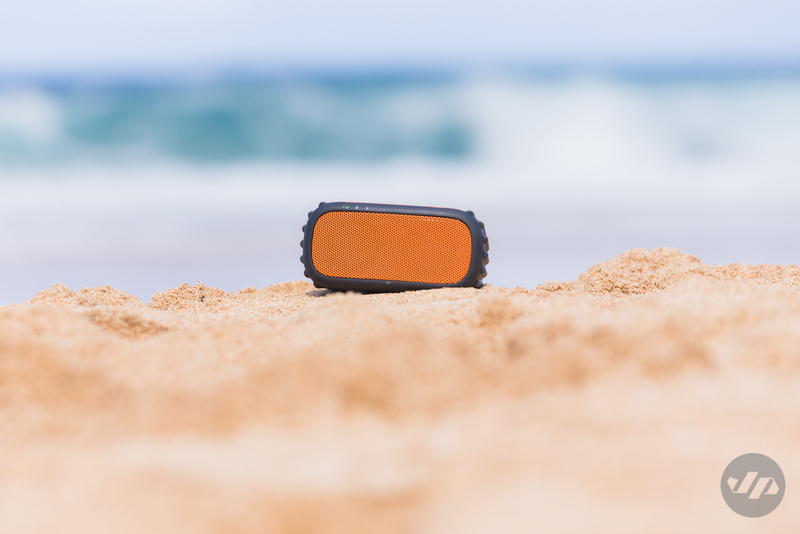 Easy to set-up and connect via Bluetooth to your smartphone, computer or tablet the small and fairly lightweight speaker is a good addition for any trip or activity. The small size makes it convenient to travel with and pack. 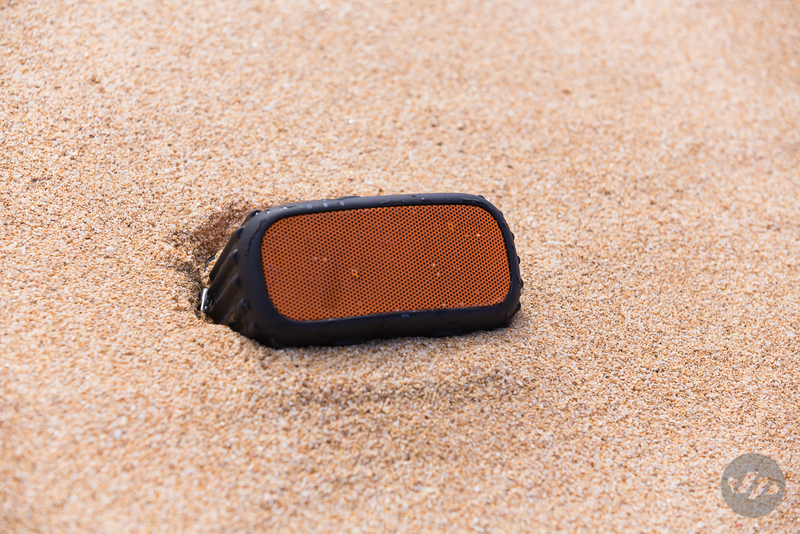 Measuring at 2.5″ tall by 3″ deep and 5.3″ wide and weighing 11oz, the speaker easily packed into my backpack. Being waterproof there is no limit to where you can’t take this device. Perfect for the beach, pool side or practically anywhere with water. The attached carabiner makes it easy to connect and latch on to many things and I can see it being used on boats, kayaks, stand up paddleboards, bikes and more. 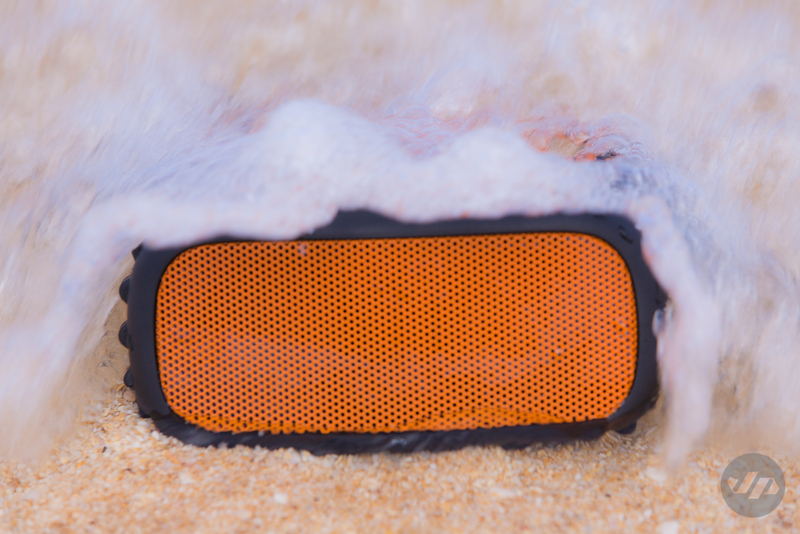 Another plus of this speaker over the competition is that it floats so you never have to worry about it sinking and losing the speaker. Additionally, the speaker can be mounted to a bike or anything that uses a ¼ 20” camera mount screw post. The company offers extra accessories that can be bought that includes a suction cup mount and handle bar mount. The battery life is incredible with over 10 hours of life. I’ve used the speaker for a full work day listening to music and connecting to my iPad to watch some Netflix and am impressed with how long it goes before needing a charge. 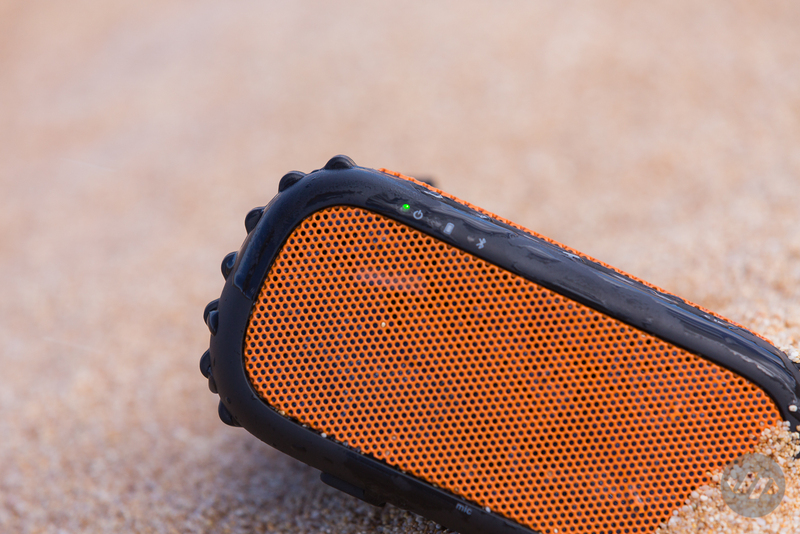 The sound quality is good and comes equipped with an integrated full range 6 watt stereo speakers. The top mounted bass radiator fills out the sound as well. I did experience some “rattling” at higher volume while at the beach. Indoors the speaker at a moderate level is loud enough for my needs. Overall, I’m very happy with this speaker and have been using it daily. The price is about $110, which may seem steep but its a good value for the quality of the product.